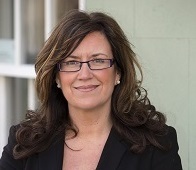 Joanne is a qualified accountant with over 20 years experience. Working with a range of companies Joanne is acutely aware of the business needs of clients and brings a wealth of knowledge to the business as well as an understanding of financial models that can be offered to clients. Joanne previously carried out a similar role at Envirosports Ltd before joining the Durabunker team helping to ensure a professional service is offered at all times.